Before CS4 there was a wonderful script in Bridge to make contact sheets using InDesign. 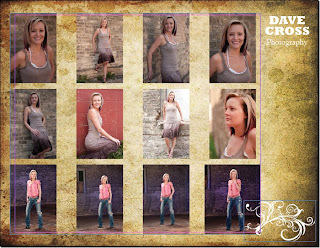 By creating a template in InDesign it was easy to create customized contact sheets, complete with backgrounds, logos, etc. Unfortunately in CS4, that option went away, replaced by the Bridge Output feature. I must say, I love using the Output options in Bridge to create Contact sheets - it's w-a-a-a-ay better than the old Contact Sheet II automation in Photoshop. But, I miss the option of creating my own custom layout in InDesign. Motivated by a question on Twitter, I came up with a workable solution. 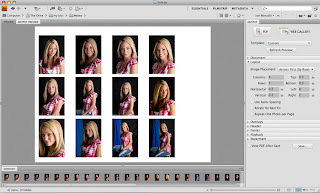 phil_cb asked "How can i do contact sheet with Bridge and InDesign CS4.... Like your method on photoshopusertv...."
First, make a layout in InDesign. I went with a letter-sized document in portrait orientation and placed a textured photo on the Master Page. 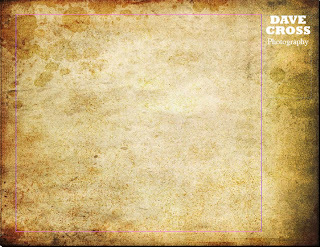 I also made the right margin 2 inches, to give myself room to add a logo, contact info, etc. Then in Bridge I selected my first set of photos and went to the Output module. In the options I chose the same size and orientation of paper, and also set the right margin to 2 inches. 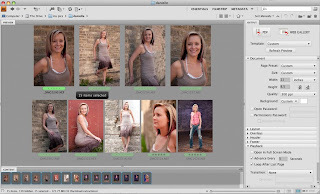 One of the advantages of Bridge Output is that you can experiment with different settings and press Refresh Preview, to make sure everything looks the way you want. Finally I saved the PDF into a specific folder and named it photos.pdf. Back in InDesign I placed the pdf into my layout. It came in the perfect size, and with a transparent background. Nice! I also added an embellishment....because I could. 3. 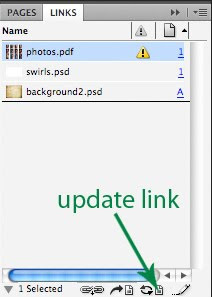 Open the "template" version of the InDesign document and use the Links panel to update the placed pdf. 4. Save as a new document using the new client's name. 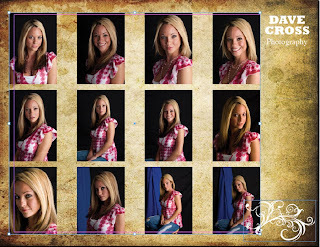 This assumes that you're creating the contact sheet just long enough to print it, since you'll be replacing the photos.pdf file each time. 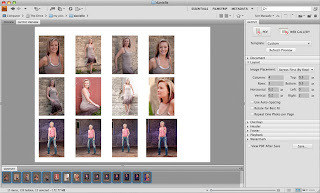 If you want to keep each contact sheet, then simply save the pdf contact sheet (from Bridge) using a different name each time and then replace the placed pdf file in InDesign rather than updating it. Not quite as easy as the "old" InDesign Contact Sheet script, but pretty close. Dave, a great solution. Thank you. Ugh, sounds like a lot of work. 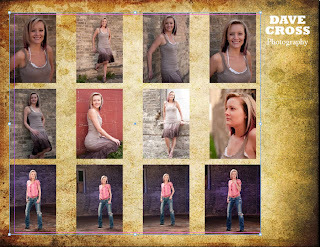 I use InDesign Contact Sheets all the time. Thanks Adobe you just gave me one more reason to not upgrade to CS4.